Shoot down the bugs before they destroy your picnic! 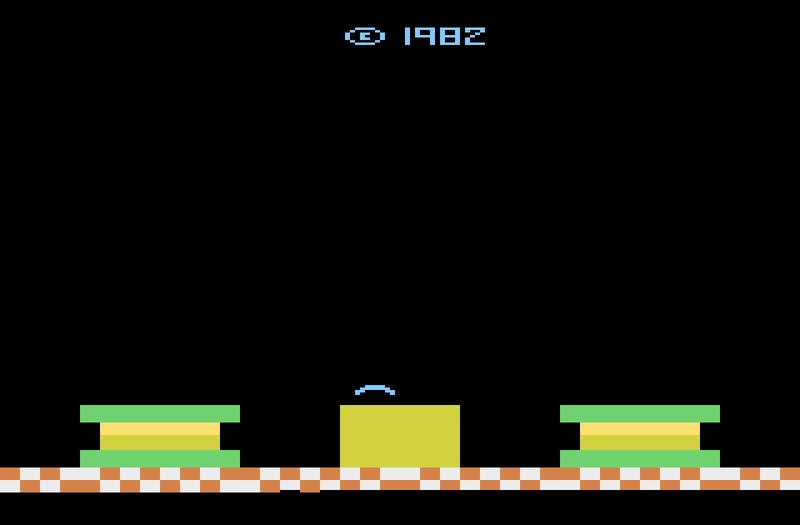 The player controls a curved line and reflects the bugs' attacks which send them flying away. The goal is to not let the bugs destroy the picnic baskets on your left and right. If that happens, it's game over. It gets kind of hard pretty quickly and some people may get annoyed by the music, but it is still a pretty fun game. Now you can add videos, screenshots, or other images (cover scans, disc scans, etc.) 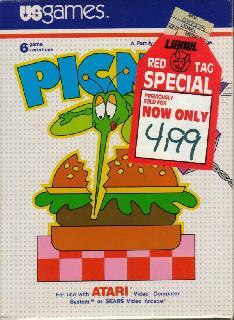 for Picnic (Catch the Fly) (Paddle) (1982) (U.S. Games Corporation, Tom Sloper) (VC2004) to Emuparadise. Do it now! If you haven't noticed yet, we have a retro game of the day feature (top-right of the screen) wherein we feature a new retro title every single day! Now, you can vote for your favorite games and allow them to have their moment of glory. 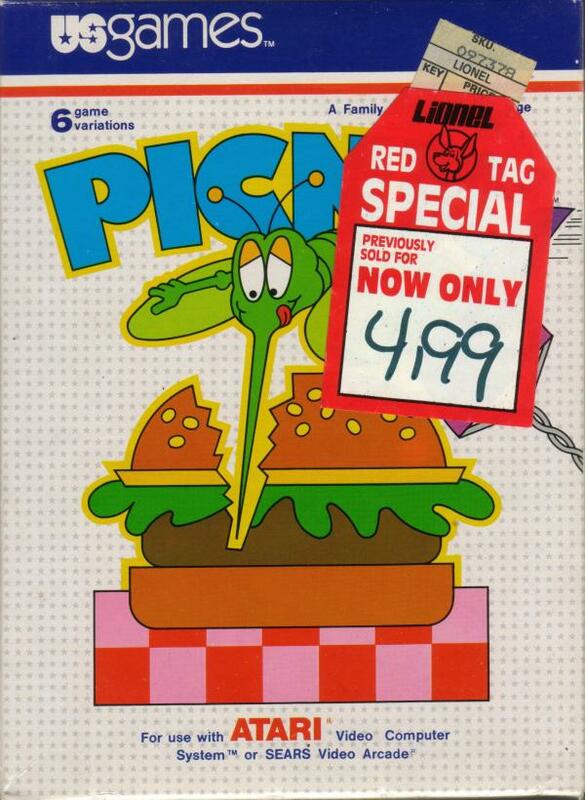 Click on the button below to nominate Picnic (Catch the Fly) (Paddle) (1982) (U.S. Games Corporation, Tom Sloper) (VC2004) for Retro Game of the Day.